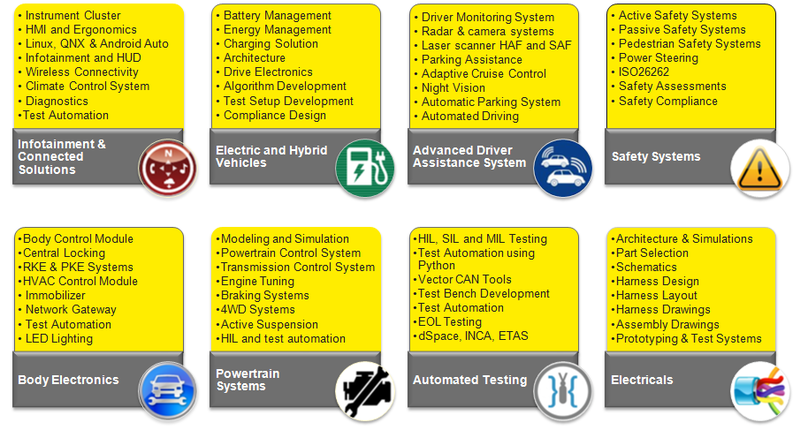 Embedded Electronics is the highest growing and most rapidly changing technology area in the automotive domain. Newer technologies are emerging in the areas of infotainment, connectivity, safety controls, power train management, emission control, braking system, access control and other vehicle body-related functions. At Cresttek, we have the philosophy of continuous skill upgrade, which keeps our engineers well trained to cope with these newer technologies, advancements, tools, sensors and algorithms. Having vast experience and a large number of technology experts in the automotive domain keeps our resources updated and our customers happy and satisfied.